This book provides a comprehensive overview of the rapidly developing field of molecular electronics. 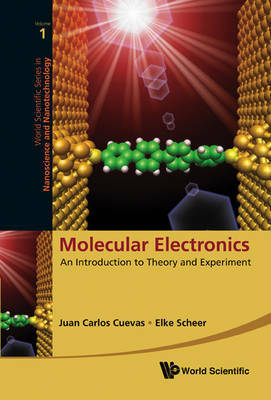 It focuses on our present understanding of the electrical conduction in single-molecule circuits and provides a thorough introduction to the experimental techniques and theoretical concepts. It will also constitute as the first textbook-like introduction to both the experiment and theory of electronic transport through single atoms and molecules. In this sense, this publication will prove invaluable to both researchers and students interested in the field of nanoelectronics and nanoscience in general.Molecular Electronics is self-contained and unified in its presentation. It may be used as a textbook on nanoelectronics by graduate students and advanced undergraduates studying physics and chemistry. In addition, included are previously unpublished material that will help researchers gain a deeper understanding into the basic concepts involved in the field of molecular electronics.